Elizabeth Bowen. Bowen, Elizabeth, photograph. The Library of Congress. Illnesses Split Family Apart. During her first five or six years of life, most of each year was spent in Dublin, where her father was first a lawyer in private practice, then an official of the Land Commission; during the summer the family moved to Bowen’s Court, in County Cork, Ireland, which had been the Bowen family seat for years. By the time she was seven, however, her father was hospitalized for mental illness, and she and her mother moved to England to stay with relatives while he recovered. In 1912, as the family began preparations to reunite, Bowen’s mother was diagnosed with cancer; her death soon afterward left Elizabeth in the care of what she called ‘‘a committee of aunts’’ from her mother’s large family. She was educated at Downe House, a boarding school in Kent, England, and at the London Council School of Art, which she left after two terms in 1919. Thus, her young years were somewhat sheltered from the turmoil that had engulfed Europe during World War I (1914-1919). Short Stories, Marriage, and Increased Productivity. It was when she was living on her own in London that Bowen began to write seriously. Her first short story collection, Encounters, appeared in 1923, the same year she married Alan Charles Cameron. Their move in 1926 to Oxford opened Bowen to a stimulating literary circle that included the critics C. M. Bowra and Lord David Cecil, and writers Evelyn Waugh, Edith Sitwell, Walter de la Mare, and Aldous Huxley. By 1929, she had published two more volumes of short stories and two novels, establishing a rate of production she would maintain much of her life. Influential Associations. Bowen published three other novels by 1935—Friends and Relations (1931), To the North (1932), and The House in Paris (1935)—and in 1935 Cameron and Bowen moved to London. This move, like the move to Oxford, enhanced Bowen’s career. She began to associate with Virginia Woolf and the Bloomsbury literary circle in London, wrote reviews for the Tatler magazine in addition to her regular writing of fiction. Influence of the War Years. World War II dominated much of Bowen’s life in London and the writing she produced during this period. Her experiences living and working as an air-raid warden in London during World War II inspired what many critics consider her finest short story collection, The Demon Lover, and Other Stories (1945). In these stories she introduced a hallucinatory tone and supernatural themes in order to convey war’s effect on the human mind. Career Advances Despite Personal Loss. In 1948, Bowen was made a Commander of the British Empire and, in 1949, she was awarded an honorary Doctor of Letters by Trinity College, Dublin. During the same year The Heat of the Day was published to glowing reviews. Before this novel was published, Bowen had produced two new collections of short stories, a selection of previously published short stories, a radio play, a critical study of the novel, two volumes of memoirs and family history, and a play (coauthored with John Perry and produced in 1948, although never published). She also continued to write the reviews and critical articles that appeared regularly in various periodicals. The Camerons moved from London to Bowen’s Court in Ireland in 1952, which she had inherited in 1930. That same year Alan Cameron died. In 1957, Bowen was awarded a Doctor of Letters by Oxford University. Following her husband’s death Bowen remained at the family home until 1959, when she decided to sell Bowen’s Court and return to England. In 1964, The Little Girls, a novel set in Kent, England, where she had lived with her mother during her father’s illness, was published. Her last novel was Eva Trout (1969), for which she received the James Tait Black Memorial Prize in 1970. During the last four years of her life Bowen was in declining health, suffering from repeated bouts of respiratory illness. In 1972, she learned that she had lung cancer, from which she died on February 22, 1973. Elizabeth Bowes-Lyon (1900-2000): Queen Consort of King George VI of the United Kingdom, known as the Queen Mother after her husband's death; during the Blitz, Germany's bombing of London in World War II, she famously refused to leave London, winning the hearts of the British. Robert Graves (1895-1985): British novelist and poet; well known for his memoir of World War I, Goodbye to All That (1929), as well as for his historical novel /, Claudius (1934), about the Roman emperor. P. G. Wodehouse (1881-1975): English writer, many of whose short stories and novels center on a hapless aristocrat and his unflappable butler; he also wrote plays and lyrics for musicals, including Anything Goes (1934). Virginia Woolf (1882-1941): English modernist novelist and writer, part of the influential Bloomsbury literary group; her essay A Room of One's Own (1929) argued that women must have private space in order to be able to create. William Butler Yeats (1865-1939): Irish poet and playwright, who favored Ireland's independence from England; awarded the Nobel Prize for Literature in 1923. Elizabeth Bowen’s works are often compared with Katherine Mansfield’s because of her extreme sensitivity to perceptions of light, atmosphere, color, and sound. Like Mansfield, Bowen is considered expert at presenting the emotional dynamics of a situation and then swiftly illuminating their significance, particularly within the prescribed bounds of the short story. Her work also has been compared to that of Virginia Woolf, E. M. Forster, Henry James, and Jane Austen. Her work is also heavily influenced by her experiences in war-time London. The Ghosts of War. In his introduction to The Collected Stories of Elizabeth Bowen Angus Wilson notes that Bowen’s stories may be some of the best records any future generation will have of London during the war and of the psychological violence and tenderness that the war evoked. Through the stories in The Demon Lover, and Other Stories readers may also gain an appreciation for Bowen’s ghosts—spirits that are rarely malign but that seem to elucidate the ‘‘real’’ world. In ‘‘The Happy Autumn Fields’’ Mary prefers to dwell in a past peopled by ghosts inspired by letters that are more real than her own bombed house. London exists as its own moonlit ghost in “Mysterious Kor,’’ a story that superbly displays Bowen’s painting with words and also shows the threads of feeling that may become entangled in times of war. And the title story, ‘‘The Demon Lover,’’ introduces the ghost or ‘‘demon’’ born of one woman’s fickle nature. War Poems (1919), a poetry collection by Sigfried Sassoon. The poems in this book echo Sassoon's own experience fighting in World War I and established him as an important British poet. Angus Wilson notes that her stories may be some of the best records any future generation will have of London during World War II and of the psychological violence and tenderness that the war evoked. Some critics find that the short story seems an even more appropriate form than the novel for Bowen’s psychological portraits and powerful sense of the period. 1. 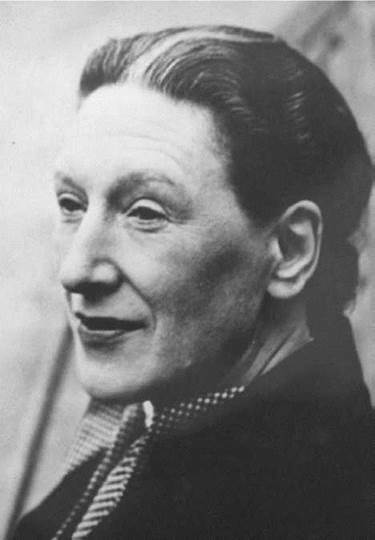 Elizabeth Bowen was a prolific writer, often publishing a novel each year. Do you think this meant that she had more imagination than less-published authors, or was she simply more disciplined? 2. After reading one of Bowen’s novels, discuss what aspects of the novel’s style or structure might seem to modern critics to be out of fashion. Did you find the novel old-fashioned? Point out specific passages to support your argument. 3. Using your library and the Internet, research the Anglo-Irish during the early part of the twentieth century. Write an essay analyzing how their life in Ireland changed with the growing movement toward Irish independence. Do you feel sympathetic toward them? Explain your feelings. 4. Bowen’s life and work were heavily influenced by her experience of World War II in England. To find out more about the Battle of Britain (as the German attacks on Britain were called), read Stephen Bungay’s The Most Dangerous Enemy: A History of the Battle of Britain (2001). Dunleavy, Janet Egleson. ‘‘Mary Lavin, Elizabeth Bowen, and a New Generation: The Irish Short Story at Midcentury.’’ In The Irish Short Story: A Critical History. Boston: Twayne, 1984. O’Faolain, Sean. ‘‘Elizabeth Bowen: Romance Does Not Pay.’’ In The Vanishing Hero: Studies in Novelists of the Twenties. London: Eyre & Spottiswoode, 1956. Chessman, Harriet. ‘‘Women and Language in the Fiction of Elizabeth Bowen.’’ Twentieth Century Literature 29 (Spring 1983): 69-85. Sullivan, Walter. ‘‘A Sense of Place: Elizabeth Bowen and the Landscape of the Heart.’’ Sewanee Review 84 (Winter 1976): 142-149.